The other day I wrote about the advantages of travelling by bus, and that I don’t really like flying. Well, I’m sorry to let you know, but I was lying. A few days after my adventurous bus ride from Mwanza to Kigali, I decided to take the easy option and fly back, via Nairobi, and it was on this flight that I witnessed the best view I have ever had from an aeroplane seat. And as sure as Kilimanjaro rises like Olympus above the Serengeti, well the clouds, or so the infamous song by Toto goes, this was the view I had from seat 11D Kenyan Airways Flight PW722 from Nairobi to Mwanza. 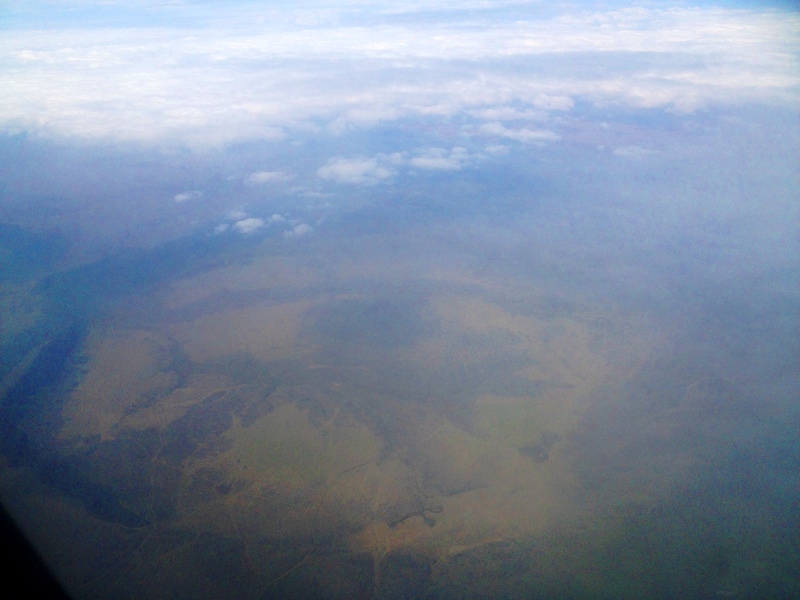 On one side of the plane was Kilimanjaro, at 5,895m, Africa’s highest mountain. 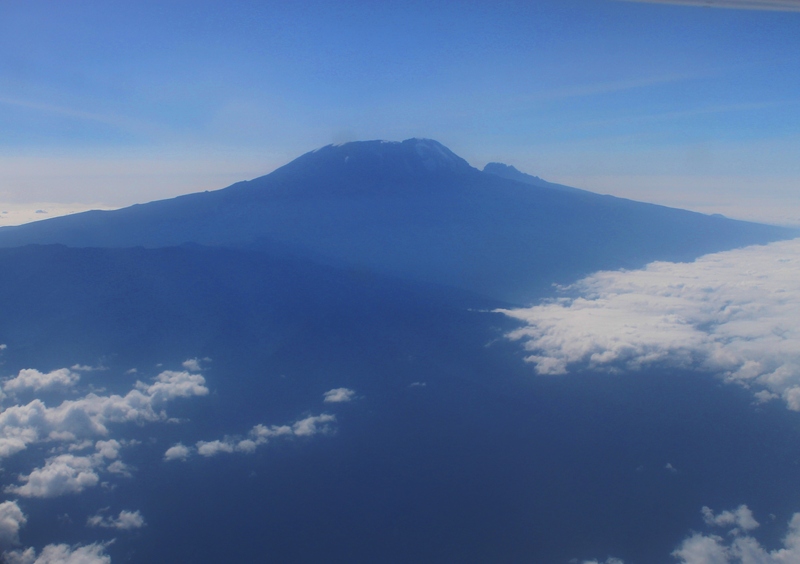 And on the other side of the plane was Mount Meru, which at 4,564m is Tanzania’s second highest mountain and Africa’s 8th highest. And a few moments later there was a perfect view of natural wonder the Ngorongoro Crater, the world’s largest un-flooded and unbroken caldera measuring 20kms across and 600 meters deep, in its entirety. In short, I suppose flying has it’s advantages – And I haven’t even mentioned the complimentary cashew nuts. Just accept you’ve been lucky enough to enjoy ‘the best of both worlds’, as ‘they’ say. Your previous post on Kigali was very moving.